A wealthy widow of a nobleman, daughter of a famous scientist, and skeptic who only trusts what can be proven. Meet Serafina Trent. A woman about to take 19th Century London by storm. 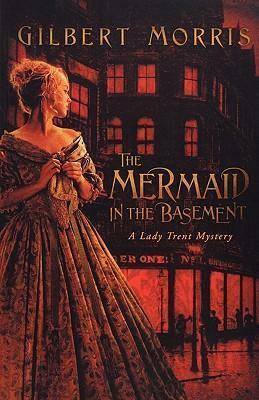 It's London, 1857, and everything is at stake for Serafina Trent. A woman of means . . . but not the typical Victorian lady who feels her place is to be seen and not heard. When her brother's most recent female dalliance, a beautiful actress, is found murdered, all evidence points to him. Especially since the actress had just rejected him in a most public manner. Now everyone believes Clive is headed for the gallows. Everyone, that is, but Serafina. Determined to prove her brother's innocence, Serafina finds herself working with unlikely allies-including Dylan Tremayne, a passionate storyteller and actor with a criminal past. This novel will hold fans of mystery and history spellbound until the very last page. Victorian England comes alive in this intriguing new series from one of Christian fiction's favorite authors. Gilbert Morris is one of today's best-known Christian novelists, specializing in historical fiction. His best-selling works include Edge of Honor (winner of a Christy Award in 2001), Jacob's Way, The Spider Catcher, the House of Winslow series, the Appomattox series, and The Wakefield Saga. He lives in Gulf Shores, Alabama with his wife, Johnnie.